The vav is an exceeding versatile letter with over 15 grammatical functions. The applications of allyship also vary in ways which are person and situation specific. For example, Leviticus 19:2 “Be holy for I am holy/ קדשים תהיו כי קדוש אני” It’s noteworthy that the “vav” is missing in the first spelling of קדשים, which refers to our human holiness. The most important prerequisite of allyship is to listen first, and recognize that the voice of the ally is distinctly different. We see God modeling this in God’s desire and expectation for us to be fundamentally holy because God, in whose image we are made, is holy. However, we cannot possibly be expected to be the infinite source of the universe. God’s request of us is that we should be holy like God, but not wholly like God. The role of an ally is also different in that it is predicated on the needs of another. We see this beautifully expressed in Esther 4:16, “I with my handmaids.” The letter vav as a preposition “with” highlights the need to check in with those we are trying to support, instead of independent of them, whenever possible. Additionally, we find an empowering call to universal allyship in Ezra 10:14 “Elders of each and every city.” The letter vav here means “every” because each and every one of us has the capacity and obligation to be an ally. However, none of us are meant to be allies all of the time. We can look to Leviticus 21:14 (widow or orphan) where the vav means “or.” Each of us must be intentional about when, where, and how to step up or away. It is not our obligation to personally fill the void every time and we must be conscious of not taking up too much space. 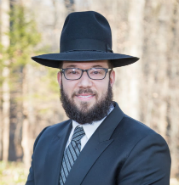 Rabbi Mike Moskowitz is the Scholar-in-Residence for trans and queer Jewish Studies at Congregation Beit Simchat Torah. 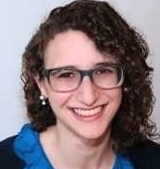 Rabbi Yael Rapport is the Assistant Rabbi at CBST.